Sherman came to us after being found as a stray. He is a very, very friendly chatty boy who loves attention and his food! He has tested positive for FIV so will need to be kept indoors and be the only cat in the household. 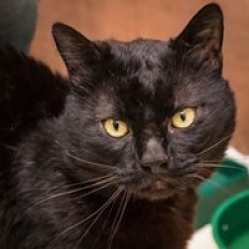 Sherman is a lovely, friendly cat who would make a lovely pet. Sherman is microchipped, vaccinated and neutered.